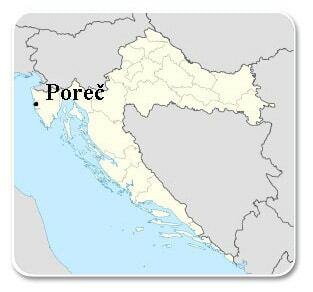 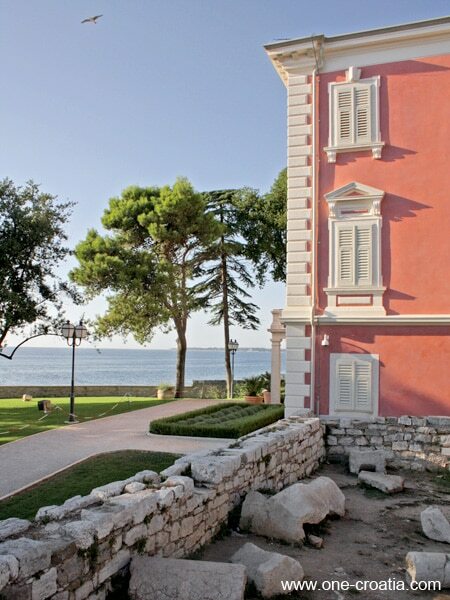 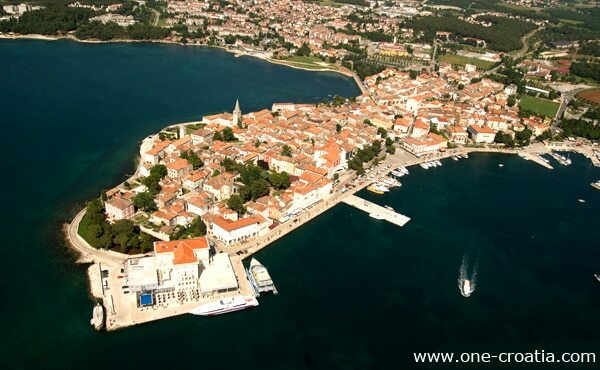 The old town of Poreč is situated on a peninsula that belonged for more than 500 years to the Republic of Venice. 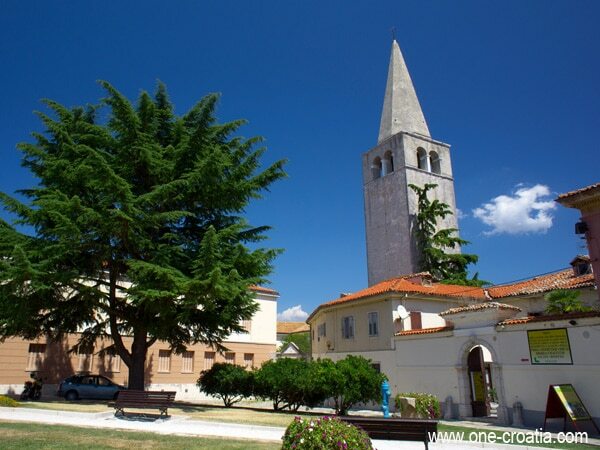 The town got influenced by La Serenissima on many levels. 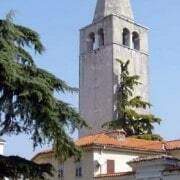 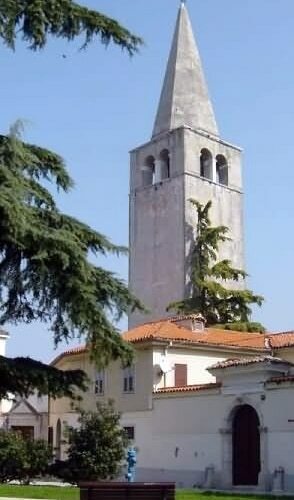 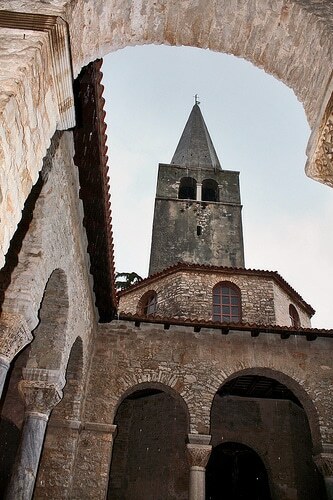 Today Poreč is especially famous for the Euphrasius basilica that is part of the UNESCO World Heritage List. 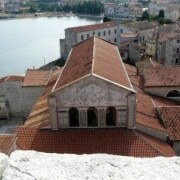 It’s a must see! 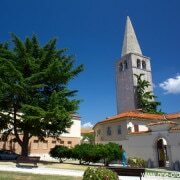 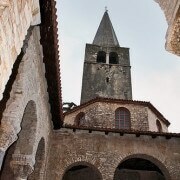 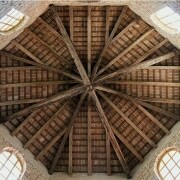 The Euphrasius basilica is for sure the most valuable cultural monument in Poreč. 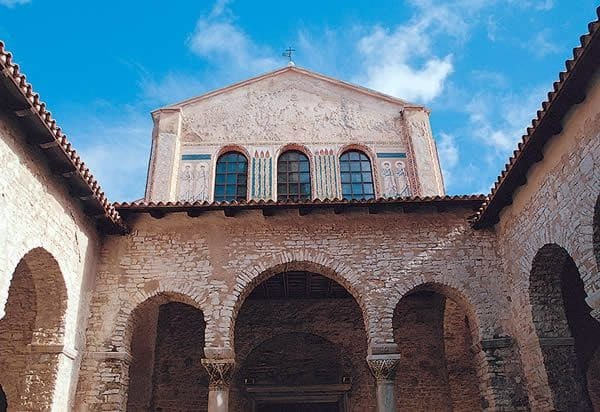 It was built in the first half of the 6th century on the remains of an earlier tri-naval basilica, during the period of Bishop Euphrasius, whose name it bears. 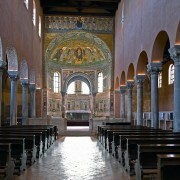 The sacral complex includes a church, an atrium and a baptistery. 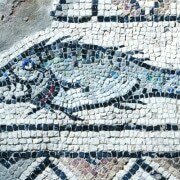 Take a moment to have a look at the glittering wall mosaics in the apse. 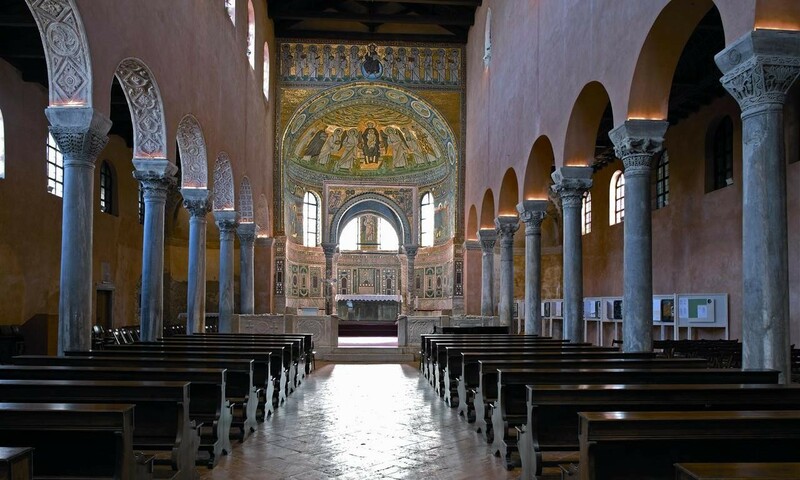 These 6th-century masterpieces feature biblical scenes, archangels and Istrian martyrs. 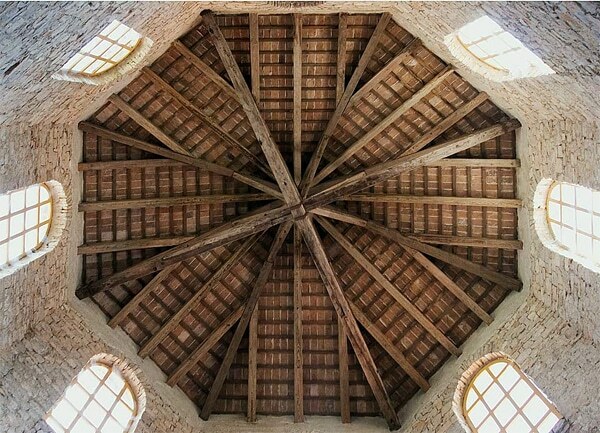 The semi-dome features the Mother of God seating on the throne, with two archangels and figures of Istrian martyrs. 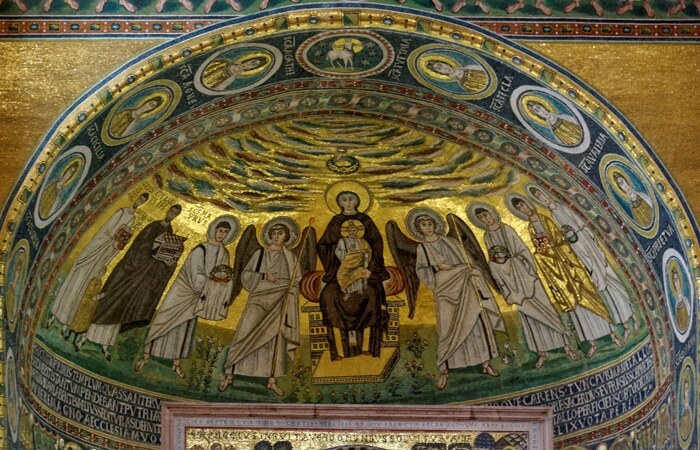 The central figure in the group to the left is Bishop Euphrasius with a model of the church in his hand. 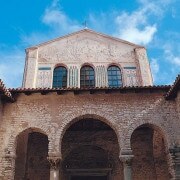 His brother Claudius stands next to him, and between them you can see a boy, the son of Claudius. 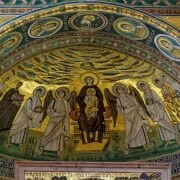 The lower part of the mosaic represents the Annunciation, the encounter of Mary and Elisabeth as well as three separate figures (Zachary, Archangel Gabriel and John the Baptist). 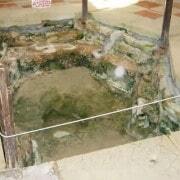 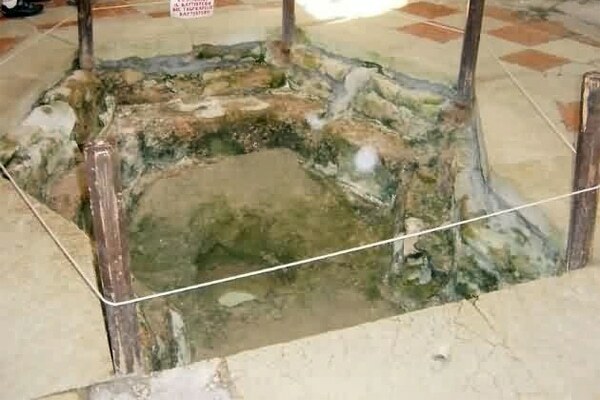 Exit the church and access to the octagonal baptistery just in front of you, it will lead you to the belfry. 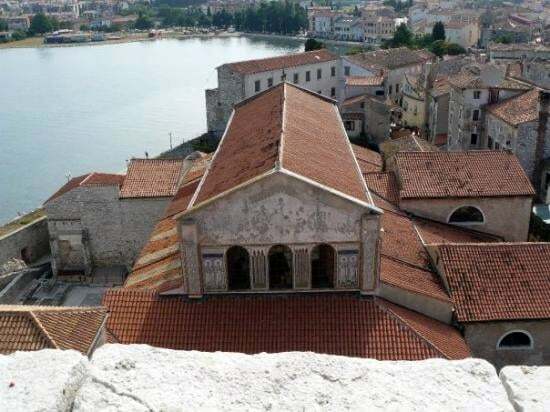 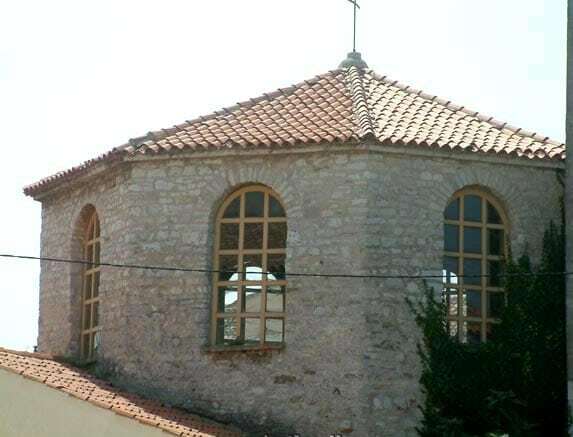 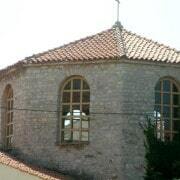 Pass by the baptistery, go to the top of it and enjoy the view on the old town and its surroundings. 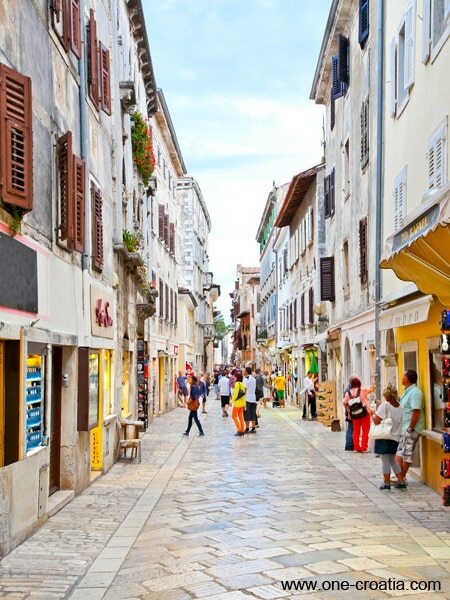 Take a stroll through the streets of the old town. 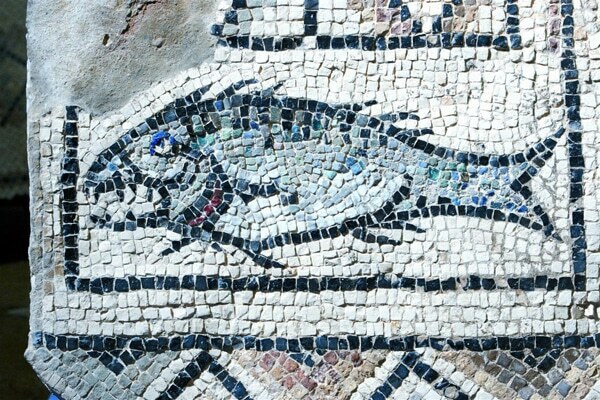 Pass by the main street called Dekumanus that was leading to the forum during the Roman period. 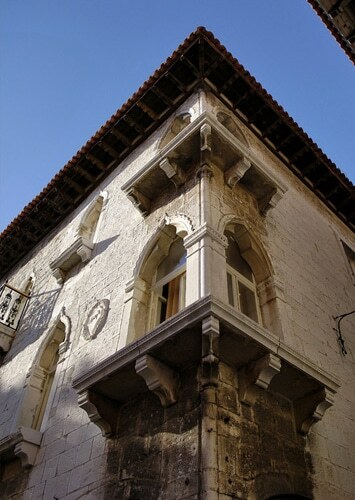 Today its beautiful facades mingle with souvenirs boutiques and ice-cream shops. 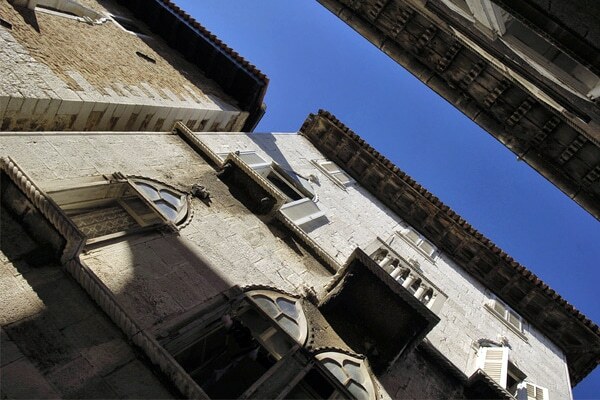 Get lost in the narrow streets and discover the sublime architecture left by centuries of Venetian influence. 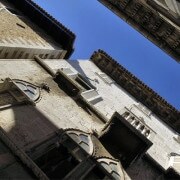 Reserve an apartment, a stone house, a villa with private pool or a simple room. 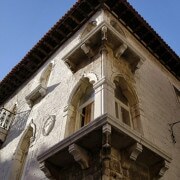 Book a hotel in the old town or in its surroundings.